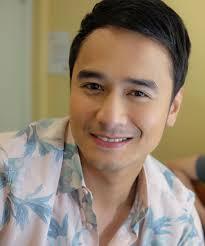 JM DE GUZMAN is currently busy taping almost everyday for his afternoon soap, “Araw Gabi”, and now, he’s supposed to also start shooting a movie for TBA (Tuko, Butchi Boy & Artikulo Uno Productions). He’s being paired with Rhian Ramos and we must admit that it’s a promising team up as he’s Kapamilya while Rhian is Kapuso, something really new. Someone tells us that some quarters are worried for JM since he is now super busy taping for “Araw Gabi” and often gets so tired because of its demands. JM’s supporters are afraid that he’s still recovering after his rehab and he might easily suffer from overfatigue and this will no doubt have negative effects on his health and the quality of his work. “Dapat easy-easy lang muna siya at huwag sagarin ang katawan niya sa trabaho until he has totally recovered,” says a concerned someone.